Heat oil in a kadhai and fry mustard seeds and curry leaves. Fry onions till it turns golden brown. Add ginger-garlic paste and fry for a minute. Add tomato and cabbage. Now add turmeric, red chilli powder and garam masala. Saute for a while and sprinkle some water. Close the kadhai and cook for 10 mins. Make sure that there is not much water left in this mixture. Break eggs and mix well with cabbage mixture. Add salt to taste. Cook for 5mins. Serve hot. You can also try with cauliflower. 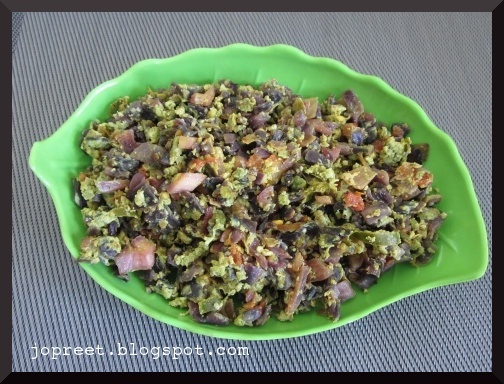 This burji goes very well with rasam rice.